This is a video of Dolly Parton’s great song, “Coat Of many Colors,” performed live by The Cumberland Trio at their 2004 Back Where We Began reunion concert at the historic Bijou Theatre Center in Knoxville, TN on Sept 24, 2004. It is an incredible story from the folk era of 1964 and sensational performance. 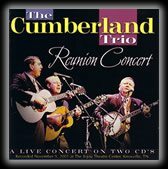 The full DVD and CD of this 2 1/2 hour concert is available at www.cdbaby.com, type cumberland trio into the search box. Dolly actually published the song several years later. She was working as a 16 year old waitress in Gatlinburg, TN near her Sevierville, TN home and sang this song to the Trio after one of their nightly shows at the Greystone Hotel Playhouse in Gatlinburg in August, 1964! !